This beginner diver course is the perfect choice if you do not have the time on Gozo to complete an Open Water Diver program, are under 13 years of age, or wish to start out slowly. This course provides you with the training and experience required to dive with confidence under the supervision of a diving professional to a maximum depth of 12 meters. 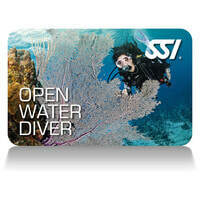 Upon completion of the course you will become an SSI Scuba Diver. This lifelong certification is just the beginning of the adventure and, if you choose, can be upgrade to the an Open Water Diver certification, with additional training, at any time.